Posted April 15, 2016 by William Martin & filed under Headlines. 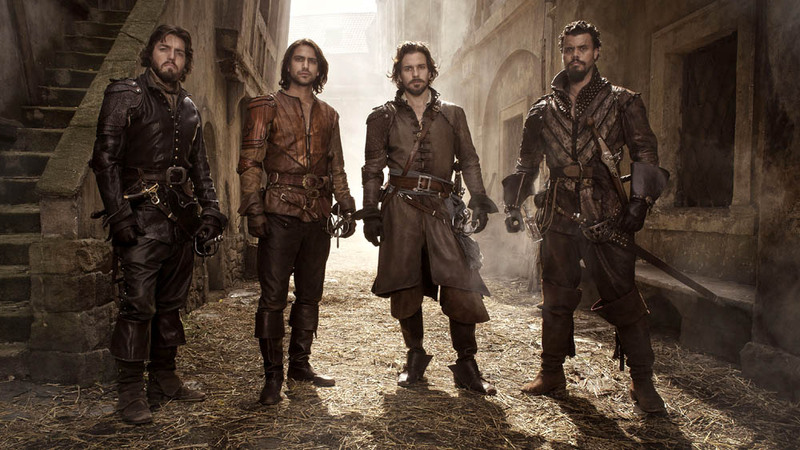 Doctor Who star Paul McGann will appear in the upcoming third season of BBC One’s The Musketeers. It was confirmed earlier this week that the action-adventure drama will end after this season. McGann is best known to cult TV fans for his role as the Eighth Doctor in Doctor Who. McGann previously played Girard/Jussac in 1993’s The Three Musketeers movie alongside Charlie Sheen, Kiefer Sutherland, Chris O’Donnell, Oliver Platt, Tim Curry and Rebecca De Mornay. Season 3 will air on BBC One and BBC America later this year, with Rupert Everett joining the cast as Philippe Achille. But please, BBC, ITV, Channel 4, major theatres, and independent producers, will you stop ignoring the fact Paul McGann’s had an outstanding acting career and start casting him in lead roles again? As someone who loved growing up with him, it’s really frustrating to see this tremendous actor go the same route as so many British actors have done once they pass their mid 40s – criminally undercast! Yes I’m looking anxious forward to Season 3 and I would wish the show will never end! yep you bet. Fantastic show, underrated. Those who have watched it avidly since S1 will miss it greatly. It has brought together many friends.